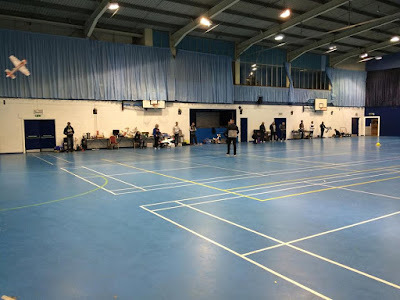 Indoor Flying for 2018/2019 resumes this Sunday 25th November 2018 at the Sports Connexion in Ryton Coventry between 18:30 to 10:00pm. Hot drinks and snacks will be available on the evening so please feel free to come over and get some stick time as well as modelling banter! Further details can be found on the Indoor specific page. A session has also been booked for Sunday 16th December and further dates will be booked for Q1 2019 once we gauge the demand for the indoor flying. The Leicester Model Aero Club owns and maintains a grass field flying site situated near to Foxton, South Leicestershire. The amenities include ample parking space, a spacious heated club house with kitchen, and male and female toilet blocks. The club encourages all forms of model flying, although some are not practical due to the size, or terrain of the site, and neighbouring noise sensitive areas. Radio Control (fixed wing) and Helicopters are the most prevalent, and there is a small but dedicated group of regular Control Line fliers. However small Free Flight models have been flown successfully on calm days. New or returning to the hobby? Help is always at hand, from friendly advice to flight training. The club has models and instructors for RC, and the CL group can always rustle up a model to get you rotating. Interested? For more specific club representatives use Contacts link.